Jessica has the privilege of being born and raised on the Central Coast. She has been in the dental field for over a decade, working most positions, but thriving in the front office. Jessica graduated from the Santa Cruz ROP Dental Assisting Program in 2011, after working for her childhood dentist for several years as a dental receptionist. She has continued to expand her knowledge of dentistry with regular continuing education courses and seminars across the state and country. She also holds two Associate Degrees from Hartnell College in World History and Psychology. In her spare time, Jessica and her spouse are an accomplished artist duo, working with everything from small canvases to large scale murals. Through their art, they also create community events for underprivileged youth. Jessica also enjoys traveling, both national road trips and internationally. Jessica strives to help both patients and staff alike to ensure that every day at Prunedale Dental is a positive one. Melanie is our front office receptionist and has been in the dental field for 15 years. Melanie graduated from the dental assisting ROP program in 2003 with her x-ray and dental assisting certificate. She is bilingual in Spanish. 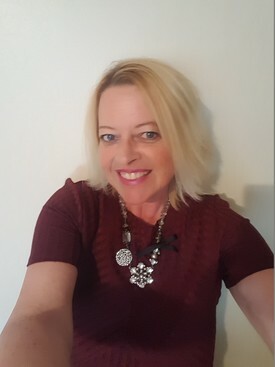 Melanie joined our office in September of 2018, prior to our office she worked in oral surgery for many years and wanted a change in scenery. She loves meeting new people and has a friendly and positive attitude with a BIG SMILE! In her spare time Melanie and her husband volunteer after work teaching kids how to box in hopes to keeping them out of trouble in Gilroy, CA. They have been doing this for 11+ years. It started with their son Justin who is now 18 years old and has moved on and become a professional boxer. They love working with the community and helping kids. Kelley Laird has been with Prunedale Dental for three months, joining the team as insurance coordinator and support to the business team after thirty years in the dental profession. She received her license as a Registered Dental Assistant by The California State Board of Dental Auxillaries, Coronal Polishing License, and X ray License, and assisted chairside for many years before transitioning to a business team role. Kelley treasures interaction with patients and strives to help them keep their beautiful smiles, with support in insurance coordination and financial payment options to achieve this worthwhile goal. Being a mother and grandmother is her "Happy Place," and as family is so important, she's been blessed to feel welcomed into Dr. Alfy's Office where it's very much a second family atmosphere. Janet has been working in the dental world since High School. She graduated from the ROP dental assisting program in Santa Cruz in 2009 and received her RDA license in 2011. What she enjoys most is being able to communicate with patients and helping them understand why treatment is needed. She has been working in general dentistry for years and what she enjoys most is the variety and every case and patient being different. Janet is bilingual in Spanish. In January of last year, Janet joined Prunedale Dental with Dr Lalinde before she retired, so she will be a familiar face. Since then, she has expanded her knowledge in digital dentistry. When she is not at work, she enjoys spending time with her husband and two children. On her weekends, she spends most of here time supporting her children in sports and spending most time outdoors. Justine is one of our dental assistants. 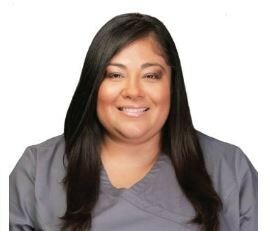 She graduated from Monterey Peninsula College with a Biological Sciences, BA and completed the Dental Assisting Program. She is currently working on becoming a Registered Dental Assistant. Justine has been with Prunedale Dental since May of 2018 and loves the energy the office staff and doctors bring. Patient communication means is important to her so she is very thorough explaining treatment to patients in English and Spanish. She always does her best to answer all questions and make patients feel comfortable in the dental chair. Justine enjoys outdoor activities with family and friends such as long walks, hikes, and small trips on her days off. Her hobbies include working out and cooking for her family.